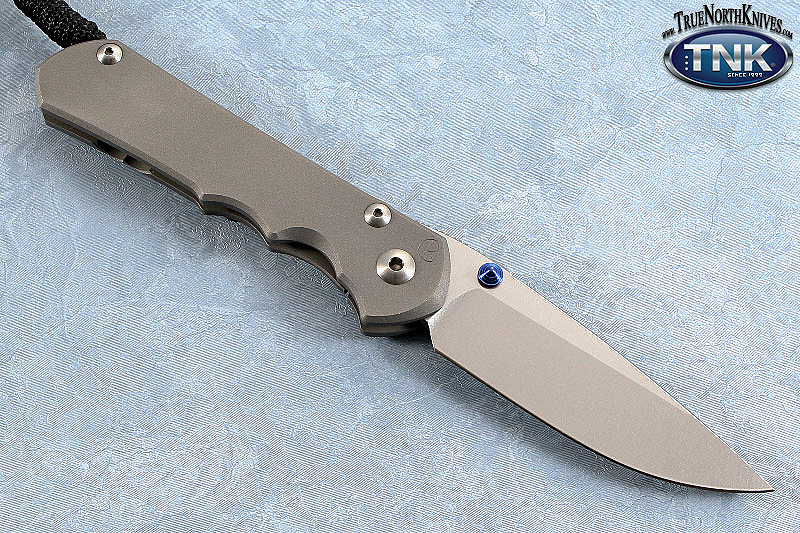 The new Chris Reeve Sebenza 25, along with the current Sebenza 21, remains as the standard hard use tactical folder. The "Regular Sebenza" has a more square handle and small ridges on the handle; the "Sebenza 25" has a more concave handle with finger ridges on the handle. Effective drop point blade shape with new razor sharp "Large Hollow Grinds", the first blade to feature this new grind that blends the best of hollow and flat grinds for the new sebenza 25. Shaped phosphor bronze washer on the lock side brings additional stability to that side of the blade. One-eighth inch ceramic ball acts as the interface between the lock bar and the blade, and doubles to drop into the detent, ensuring the blade stays in place when closed. Larger perforations in the washers reduce friction, store more lubricant and offer space for small dirt particles to move away from the blade/washer interface, helping to prevent blade action from becoming "sticky". 416 heat treated stainless steel stop pin is interface fit into the lock side of the handle. Asymmetrical pattern thumb serrations on a curved thumb ramp of the blade give excellent purchase. At 3.56mm the blade of the sebenza 25 is more robust than previous sebenza models. Refined design, high performance construction are all part of this folder. Titanium pocket clip mounted for tip up carry on the sebenza 25. Light for it's size, due to the titanium handle construction of the Sebenza 25th anniversary. Very strong integral locking mechanism that Chris Reeve pioneered. The Chris Reeve frame-lock folding knife that has become the yardstick against which others are compared, the Chris Reeve SEBENZA , has earned a worldwide reputation for rock solid performance and a "bank vault" feel. The Regular model Sebenza knife was introduced in 1996, replaced the first or original Sebenza profile that had been introduced in 1990. In 2000, because so many customers had asked for the original profile, Chris Reeve introduced the original design as the Classic Sebenza. In 2008, the Regular Sebenza was discontinued and the SEBENZA 21 and 25 are now the standard Sebenzas in the CRK lineup. Whether 25, 21, Tanto, Insingo, Regular or Classic versions - tumbled or "stonewashed" S30V or S35VN blades with bead blasted or decorated handles - to those with Damascus blades and lavish graphics, each Chris Reeve Sebenza knife is individually fitted to the closest tolerances. A Chris Reeve SEBENZA is guaranteed by the company for life, under proper use. Not only are you buying an award winning cutting tool, you also become a part of the Chris Reeve family.